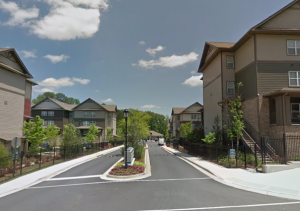 Could This Kennesaw Apartment Shooting Have Been Prevented? Two men were reportedly shot and injured at the Stadium Village apartment complex in Kennesaw Friday morning, March 31, 2017. According to The AJC, “two 21-year-old men were wounded…at the Stadium Village Apartments in the 3000 block of Hidden Forest Court,” shortly before 1:00 a.m.
Gunfire was apparently “exchanged between two groups at a large party,” The Sentinel reports. It is unclear whether the victims were involved in the initial dispute or innocent bystanders. Their current conditions have not been released. Did negligent security contribute to this Kennesaw apartment shooting? We represent individuals and families in Georgia who have suffered a tragic loss or injury as a consequence of negligent property security, and we have recovered tens of millions of dollars for our Clients. Read Our Legal Take to find out if the victims may have legal avenues for justice and claims for substantial compensation in Georgia, or call now for a free consultation with out legal team: 404.842.1600. Was the apartment complex owner and management aware of a party on property? What security measures, such as guest screening, gated entry, surveillance cameras, and security patrols, were in place and working at the time of the shooting? By law, property owners in Georgia are required to protect all those legally on the premises from any foreseeable harm. Should the facts of this matter reveal that the apartment complex owner or management failed to provide adequate security, the victims may elect to pursue legal claims for their injuries.